Plane crash • Grandparents' death was shrouded in Cold War secrecy. Leslie Randle remembers well the time she bid her grandparents goodbye from the apartment building she and her family shared with them in Los Angeles. Her grandparents, Hugh and Elinor Yancey, had packed their bags and were off on another 19-week USO tour to entertain U.S. soldiers in Alaska and across the Pacific. A few weeks later, the military informed Leslie&apos;s family that the Yanceys had died in a military plane crash just off the runway at a remote base in Alaska. There were no survivors. Most of Leslie&apos;s family had put the story behind them, trusting the sparse facts released by the government after the crash. But for Leslie, questions about how and where the Yanceys died have haunted her for four decades. This spring, with the help of the Internet and the federal Freedom of Information Act, she found more answers. While for some the U.S. records law may be a way to uncover corruption, for Leslie the records released through the law have helped bring enlightenment. Sitting in her kitchen, she pores over a scrapbook of newspaper clippings, a small oil painting by her grandfather and something obtained more recently  a two-inch-thick U.S. Air Force investigative report sprinkled with large black marks which still keep government secrets. "I&apos;ve always liked details. I love mysteries," Leslie said. "I loved my grandparents. They were a big part of my life, and suddenly they die and we move to Minot AFB, North Dakota." It was July 16, 1966, when the Yanceys and a military air crew encountered wind gusts at the isolated base of Cape Lisburne, Alaska. The C-123 military pilots had opted to abort the mission when crosswinds pulled the aircraft into the frigid waters of the Chukchi Sea. Only two bodies of the nine on board were recovered. The Yanceys&apos; bodies were never found. It was in remote bases like Cape Lisburne that the U.S. government had installed Arctic radar stations and listening posts during the Cold War to keep watch on Soviet bombers. It was code-named "DEW line"  Distant Early Warning Line. That could be a reason for the decades of secrecy surrounding the crash. Soldiers living at these top-secret stations frequently suffered from boredom during the cold that grips the region. It was in these camps and stations that Hugh Yancey became a hero. He was a speed painter. Using wet-on-wet painting techniques he could create a beautiful landscape in less than a minute. His show was simply called "Paint Away Your Blues With the Yanceys." He gave the paintings to the men. With roots in Utah, the Yanceys had begun speed painting at county fairs in California. Eventually they became volunteers on USO tours and had become popular enough to be booked for several extended tours, including five trips to Vietnam. They also held a bit of a celebrity status in Salt Lake. Utah&apos;s famous impresario Eugene Jelesnik hosted the Yanceys on KSL-TV&apos;s "Talent Showcase" only a month before the fatal accident. During his performances, Hugh Yancey painted a picture faster than a Polaroid photo could develop. 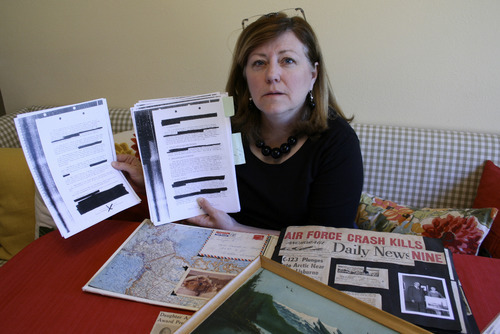 For Leslie Randle, the government documents have answered many questions. Talk of wind speeds, oil spills, photos of wreckage, overcast skies, record cold temperatures and Navy divers fill Leslie&apos;s explanation of her grandparents&apos; death. The government documents are well worn, marked with sticky notes and scrawls in the margin. She&apos;s preparing to ask for more records through the Freedom of Information Act, hoping to unmask more of what&apos;s behind the black markings. Her research has answered questions for her family and others. She contacted the daughter of another passenger, a Navy fighter pilot with "top secret" status in government records. The daughter was surprised when she learned the government&apos;s version of events was true. She had always assumed the story of USO performers aboard the plane was a government cover-up. Leslie has also found four veterans, through the Internet, who were stationed at Cape Lisburne. Two were witnesses of the crash, poised to meet the flight on the runway, movie cameras in hand. Another two shared their photographs of the recovery mission and provided some details of that day&apos;s site log write-up, long since forgotten. "There is never closure. But now there are answers," she said. Joel Campbell writes about the First Amendment and open government for The Tribune. 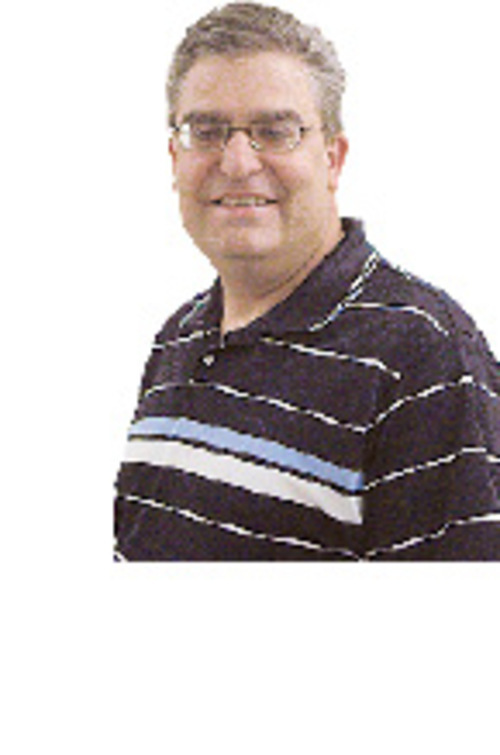 He is associate journalism professor at BYU. His views do not necessarily reflect those of BYU. He may be reached at foiguy@gmail.com.